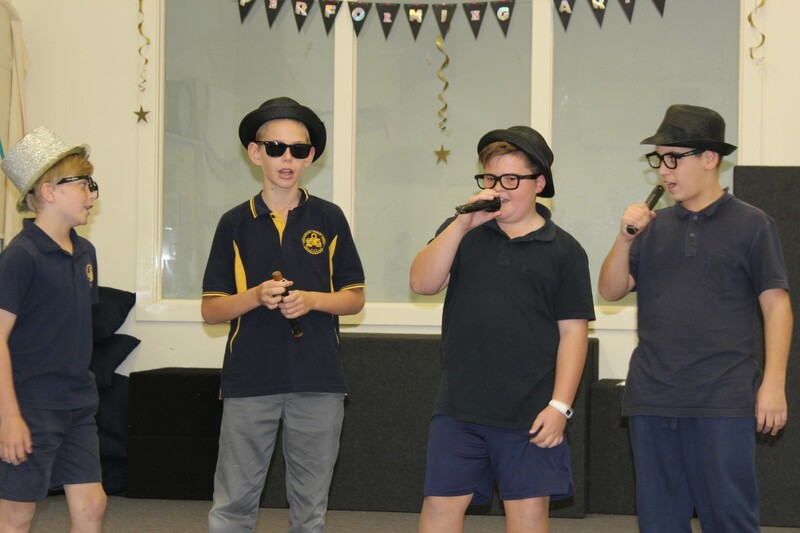 We provide students with a specialised Performing Arts program that includes Music, Dance and Drama. The program content varies according to ages and interests of the students. Experiences range from role modelling to self-expression; from imaginative puppet play to writing and directing a play that is filmed and reviewed; from body and space awareness to choreographed dances; from singing and playing instruments to composing songs. There is a strong commitment towards excellence. In fourth term our Performing Arts focus is on collaboration to create, rehearse and polish a performance for the End of Year Celebration, as a culmination of the year’s learning. This concert is a highly regarded school community event. The following co-curricula opportunities are provided for students with interests and talents in The Performing Arts. ‘The Groovers and Shakers’ is held for students in Years 3, 4 and 5. The focus is on fun, energy, entertainment, polish and commitment to the group. During terms 1, 2 and 3, the Senior Choir directs its energy to preparing for the Festival of Music held in August / September when this hard working and committed group of Year 5, 6 and 7 students have the opportunity to perform in the Festival Theatre. Singing lessons are provided for students who have successfully auditioned to sing solo for the school choir and this may lead to students singing solo for the Festival of Music concert. Students in Years 3 to 7 may learn an orchestral string instrument through the DECD program based at Edwardstown Primary School. Tuition is free and the only cost is the hire of instruments and music books. This group of musicians learn an instrument through the DECD Hub and Pod programs. A parent and practising teacher, leads these students to provide opportunities to perform as a group and build upon their skills. Guitar and Keyboard lessons are offered on a private basis by Ruth England. AMEB Exams are available through negotiation. Tuition and instrument hire costs apply. "I believe arts education in music theatre, dance, and the visual arts is one of the most creative ways we have to find the gold that is buried just beneath the surface. They (children) have an enthusiasm for life, a spark of creativity, and vivid imaginations that need training - training that prepares them, to become confident young men and women.